When you have big power needs, you need a powerful generator and the PG10000 provides just that. Instead of the expense of a stationary home standby unit, the PG10000 is one of the most powerful in its class and capable of operating up to five major appliances at one time. 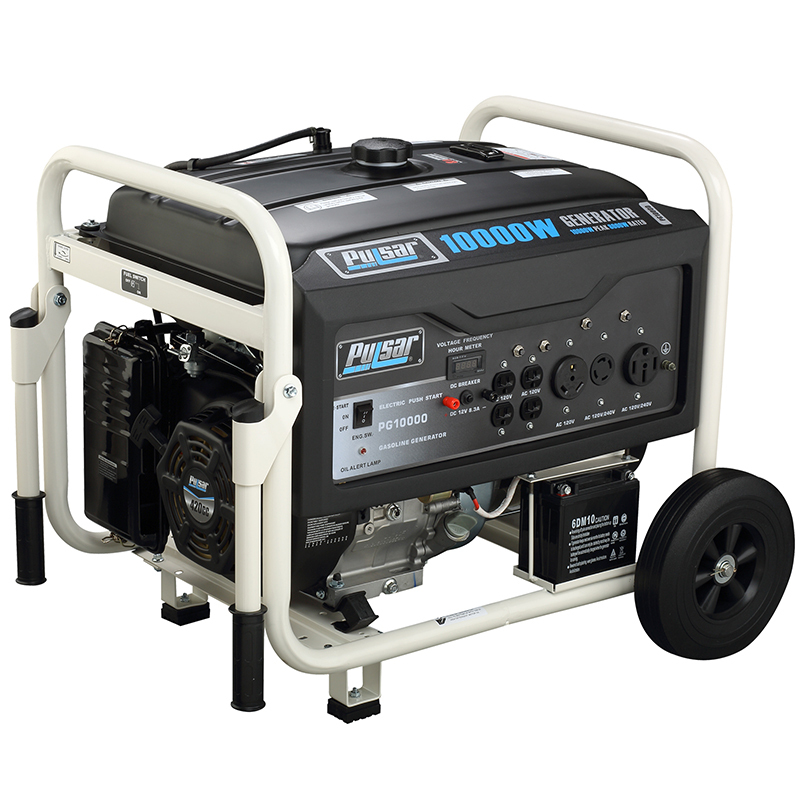 The 15 HP OHV gasoline engine can operate for up to 12 hours on a single 8 gallon tank of gasoline and do so by providing not only 12V, 120V and 240 volt power, but special 30 and 50 AMP circuits for total control of RV units. Add keyless electric start, maintenance free battery, dual handle mobility with no-flat tires and you have power and convenience whenever and wherever you want it.